Here is week 5. 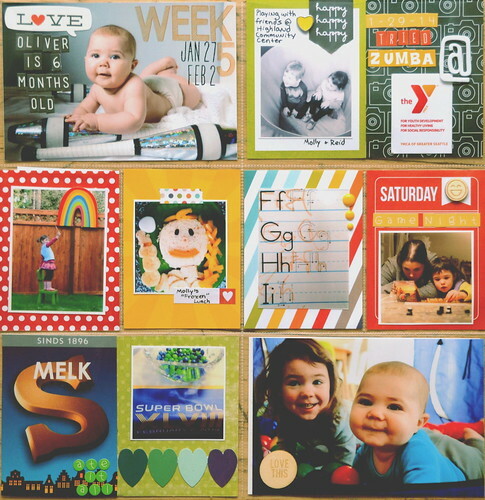 This turned out to be such a bright happy layout and I just love the top left card. So many more weeks to do! Adorable!!! Love the bright colors and those two cuties!!! That top pic of Oliver is ADORBS!! !